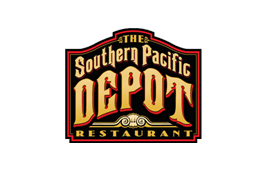 The Southern Pacific Depot serves upscale, classic cuisine with a creative twist and farm to table sensibility. Lunch, Dinner, Cocktails and Wine, or Private Dining for special events! We look forward to welcoming you. "We started with bacon wrapped dates, crispy Monterey Bay calamari, and grilled slab bacon for appetizers. Then The Depot French Dip and the 612 Room Burger for our main dishes, followed by chocolate mousse cake and cheesecake for dessert. Every bite was amazing and delicious, from start to finish!"